Is your water heater starting to act strangely, making odd sounds such as bangs, pops, or even hissing? Have you noticed that it has started to leak out of the top or the bottom, leaving a pool of water underneath it? Are you dealing with a steep reduction in the amount of hot water you have, or turned on a faucet only to find that it stayed cold indefinitely? Then John’s Plumbing & Pumps, Inc can help! 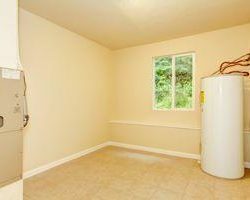 Our plumbers can handle any type of water heater repairs in South Hill WA. If it’s your plumbing or water heater that’s gone wrong, we can make it right. Not all water heater repairs require an experienced plumber to come by and take care of it. 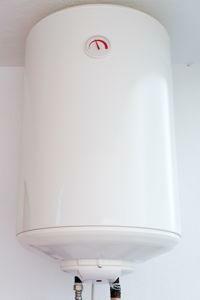 Some of them require minimal–or even no–tools and only the most basic understanding of water heaters. One of these is if you suddenly lose your hot water. If this happens and you have an electric water heater, check your circuit breaker to see if any are tripped. When it isn’t a fundamental problem that caused a short, it can be as simple as that! Most South Hill WA water heaters are probably gas units. These are a little more complicated, but relighting the pilot light may be enough. Call us and we can tell you if there’s something you can try on your own first! Be cautious when attempting your own water heater fixes! While fixing your loss of hot water can be simple, in certain circumstances it can also be dangerous. Make sure that you have no standing water near your breaker box if you have an electric unit. And if it’s gas, DO NOT attempt to relight the pilot light if you notice the smell of gas. Our plumbers are trained in safety precautions and know how to handle these situations with minimal risk. Our plumbing company fixes all types of water heater issues! Why choose John’s Plumbing & Pumps? If you’re looking for the best plumbers in the South Hill WA area, you’ve found them at John’s Plumbing & Pumps. With over six decades of experience providing top-quality plumbing repairs, customers trust our honest assessments and fair pricing. We make appointments that we keep and do our work quickly but efficiently and leave nothing to chance. Give us a try and call us the next time you need a plumber for water heater repair in South Hill WA or anything else.